Counting some of the finest American warriors among their number, the Navy SEALS bring down the hammer on the wicked worldwide. The USN Seals Naval Special Warfare T-Shirt offers a fitting tribute to these fearsome warriors. 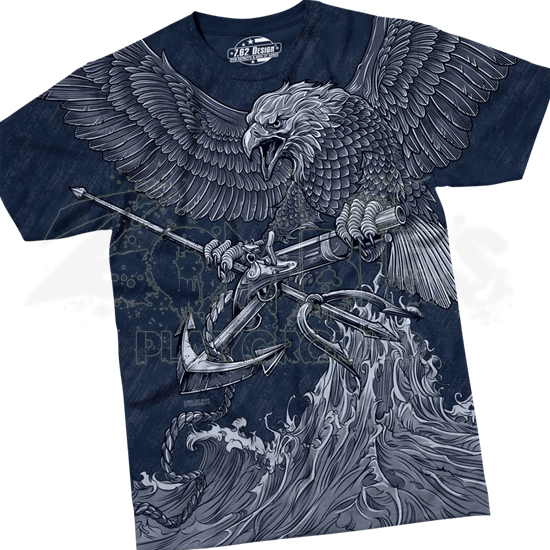 The military shirt features the crashing waves of the sea along the bottom with a screeching eagle flying above. Clutched in the talons of the eagle are a crossed trident and flintlock pistol, an anchor hooked securely between the two weapons. The back of the American shirt displays the words SEA AIR LAND separated by stars above the SEALS logo. The words NAVAL SPECIAL WARFARE arc underneath. 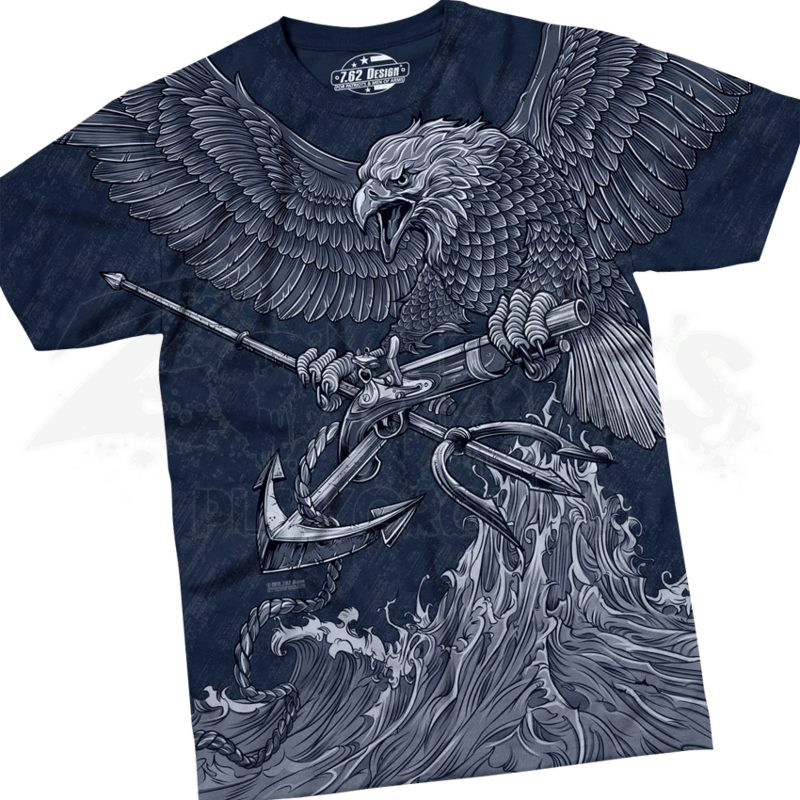 This Navy t-shirt is just the patriotic apparel to wear when you want to celebrate the armed forces.